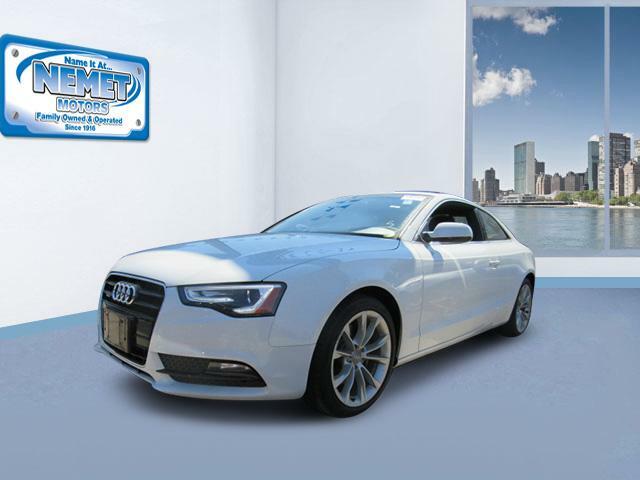 $28,985, Daytona Gray Pearl Effect, 41,756 mi, Premium Plus w/Navigation,WHEELS: 8.5 X 20 5-ARM-DESIGN -inc: Tires: P255/45R20 Summer Performance,Lane Departure Warning,Paddle Shifters,dual-panel moonroof,mp3 audio input,Heated/Cooled Seats,Keyless Entry,Parking Sensors,power locks,blue tooth,navigation,power seats,TECHNOLOGY PACKAGE -inc: Bang & Olufsen Sound System,14 speakers and 505 watts w/Dolby Digital 5.1 and noise compensation,Audi Parking System Plus w/Rear View Camera,front and rear acoustic sensors,Audi Side Assist Lane change assist,operates at speeds above 19 mph,visual warnings located in exterior mirror housings,Radar technology located behind rear bumper (not visible),Can be turned off,Audi Connect w/Online Services,Radio: MMI Navigation Plus System,TFT color,WVGA,7 display screen (user-friendly control interface),control knob w/joystick and buttons in center console,Audi connect w/6-month trial subscription,Bluetooth streaming audio,HD Radio technology,in-dash single CD player plus DVD capability,SiriusXM Traffic w/4-year subscription and voice control system,Color Driver Information System w/Trip Computer,leather seats,rear view camera,Surround View Camera,all wheel drive,heated seats,Heated Steering Wheel,S LINE COMPETITION PLUS PACKAGE -inc: S- line competition plus bumpers,fender badging,single frame grille and intakes in high gloss black,Tires: P255/40R21 Summer Performance,High Gloss Black Exterior Mirror Housings,power-adjustable and folding,memory,auto-dimming and heated mirror w/LED turn indicator,Rear Roof Spoiler,Wheels: 8.5 x 21 Audi Sport 5-Double-Spoke Star design w/gloss black finish,BLACK OPTIC PACKAGE -inc: Wheels: 8.5 x 20 Audi Sport 5 V-Spoke Design Titanium,3-Spoke Flat-Bottom Sport Steering Wheel Multifunctional,black shift paddles and S line steering wheel emblem,Tires: P255/45R20 Summer Performance,Matte Black Roof Rails w/Cross Bars,Leather Wrapped Steering Wheel,LUXURY PACKAGE -inc: 4-Way Power Lumbar Support For Front Seats,Leather Instrument Panel Top,door armrests and leather-colored stitching,3-Step Ventilated Front Seats Sold Order Only.,power windows,SPORT INTERIOR PACKAGE -inc: Audi drive select,3-Spoke Multifunction Steering Wheel,black shift paddles,Sport-Contoured Front Seats 12-way power front seats including 4-way power lumbar adjustment,adjustable head restraints and adjustable thigh support,Black Cloth Headliner,A/T,BLACK OPTIC PACKAGE -inc: Wheels: 8.5 x 20 Audi Sport 5 V-Spoke Design Titanium,3-Spoke Flat-Bottom Sport Steering Wheel Multifunctional,black shift paddles and S line steering wheel emblem,Tires: P255/45R20 Summer Performance,Matte Black Roof Rails w/Cross Bars,Fog Lamps,Leather Steering Wheel,Power Mirror(s),Trip Computer,Woodgrain Interior Trim,ABS,Automatic Headlights,Heated Front Seat(s),Passenger Air Bag Sensor,Security System,Supercharged,Auxiliary Audio Input,Cruise Control,Driver Adjustable Lumbar,Headlights-Auto-Leveling,Multi-Zone A/C,Rear Head Air Bag,Tires - Front Performance,Brake Assist,Floor Mats,Keyless Entry,Passenger Illuminated Visor Mirror,Rain Sensing Wipers,Rear Bench Seat,Temporary Spare Tire,4-Wheel Disc Brakes,All Wheel Drive,Auto-Dimming Rearview Mirror,Brake Actuated Limited Slip Differential,Climate Control,LUXURY PACKAGE -inc: 4-Way Power Lumbar Support For Front Seats,Leather Instrument Panel Top,door armrests and leather-colored stitching,3-Step Ventilated Front Seats Sold Order Only.,Passenger Air Bag,Rear A/C,Keyless Start,SPORT INTERIOR PACKAGE -inc: Audi drive select,3-Spoke Multifunction Steering Wheel,black shift paddles,Sport-Contoured Front Seats 12-way power front seats including 4-way power lumbar adjustment,adjustable head restraints and adjustable thigh support,Black Cloth Headliner,Tires - Rear Performance,8-Speed A/T,Aluminum Wheels,Bucket Seats,Dual Moonroof,Power Folding Mirrors,Power Liftgate,Rear Spoiler,TECHNOLOGY PACKAGE -inc: Bang & Olufsen Sound System,14 speakers and 505 watts w/Dolby Digital 5.1 and noise compensation,Audi Parking System Plus w/Rear View Camera,front and rear acoustic sensors,Audi Side Assist Lane change assist,operates at speeds above 19 mph,visual warnings located in exterior mirror housings,Radar technology located behind rear bumper (not visible),Can be turned off,Audi Connect w/Online Services,Radio: MMI Navigation Plus System,TFT color,WVGA,7 display screen (user-friendly control interface),control knob w/joystick and buttons in center console,Audi connect w/6-month trial subscription,Bluetooth streaming audio,HD Radio technology,in-dash single CD player plus DVD capability,SiriusXM Traffic w/4-year subscription and voice control system,Color Driver Information System w/Trip Computer,Cargo Shade,Power Windows,Sun/Moonroof,Child Safety Locks,Driver Air Bag,Front Side Air Bag,Gasoline Fuel,Intermittent Wipers,Leather Seats,Stability Control,Heated Mirrors,Power Passenger Seat,Privacy Glass,Front Head Air Bag,Integrated Turn Signal Mirrors,Power Driver Seat,Power Steering,S LINE COMPETITION PLUS PACKAGE -inc: S- line competition plus bumpers,fender badging,single frame grille and intakes in high gloss black,Tires: P255/40R21 Summer Performance,High Gloss Black Exterior Mirror Housings,power-adjustable and folding,memory,auto-dimming and heated mirror w/LED turn indicator,Rear Roof Spoiler,Wheels: 8.5 x 21 Audi Sport 5-Double-Spoke Star design w/gloss black finish,Tire Pressure Monitor,Driver Illuminated Vanity Mirror,MP3 Player,Traction Control,Transmission w/Dual Shift Mode,V6 Cylinder Engine,Bluetooth Connection,Driver Vanity Mirror,Generic Sun/Moonroof,HID headlights,Luggage Rack,Pass-Through Rear Seat,Power Door Locks,Satellite Radio,Seat Memory,Universal Garage Door Opener,AM/FM Stereo,Mirror Memory,Passenger Vanity Mirror,Rear Defrost,Steering Wheel Audio Controls,Variable Speed Intermittent Wipers,A/C,Adjustable Steering Wheel,CD Player,Daytime Running Lights,Engine Immobilizer,Remote Trunk Release,Supercharged,All Wheel Drive,Power Steering,ABS,4-Wheel Disc Brakes,Brake Assist,Brake Actuated Limited Slip Differential,Aluminum Wheels,Tires - Front Performance,Tires - Rear Performance,Temporary Spare Tire,Sun/Moonroof,Generic Sun/Moonroof,Panoramic Roof,Heated Mirrors,Power Mirror(s),Integrated Turn Signal Mirrors,Power Folding Mirrors,Rear Defrost,Privacy Glass,Intermittent Wipers,Variable Speed Intermittent Wipers,Rain Sensing Wipers,Rear Spoiler,Remote Trunk Release,Power Liftgate,Power Door Locks,Luggage Rack,Fog Lamps,Daytime Running Lights,HID headlights,Automatic Headlights,Headlights-Auto-Leveling,AM/FM Stereo,Satellite Radio,MP3 Player,Bluetooth Connection,Auxiliary Audio Input,CD Player,Steering Wheel Audio Controls,Power Driver Seat,Power Passenger Seat,Bucket Seats,Heated Front Seat(s),Mirror Memory,Driver Adjustable Lumbar,Seat Memory,Pass-Through Rear Seat,Rear Bench Seat,Adjustable Steering Wheel,Trip Computer,Power Windows,Leather Steering Wheel,Keyless Entry,Keyless Start,Universal Garage Door Opener,Cruise Control,Climate Control,Multi-Zone A/C,Rear A/C,Woodgrain Interior Trim,Leather Seats,Auto-Dimming Rearview Mirror,Driver Vanity Mirror,Passenger Vanity Mirror,Driver Illuminated Vanity Mirror,Passenger Illuminated Visor Mirror,Floor Mats,Cargo Shade,Security System,Engine Immobilizer,Traction Control,Stability Control,Front Side Air Bag,Tire Pressure Monitor,Driver Air Bag,Passenger Air Bag,Front Head Air Bag,Rear Head Air Bag,Passenger Air Bag Sensor,Child Safety Locks,BUY WITH CONFIDENCE! 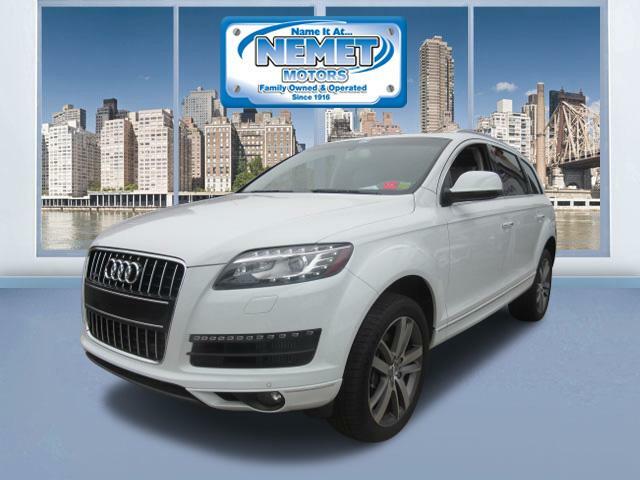 A LIFETIME WARRANTY IS INCLUDED FOR NO ADDITIONAL CHARGE WHEN YOU PURCHASE AT YONKERS AUTO MALL** No other dealer offers this! 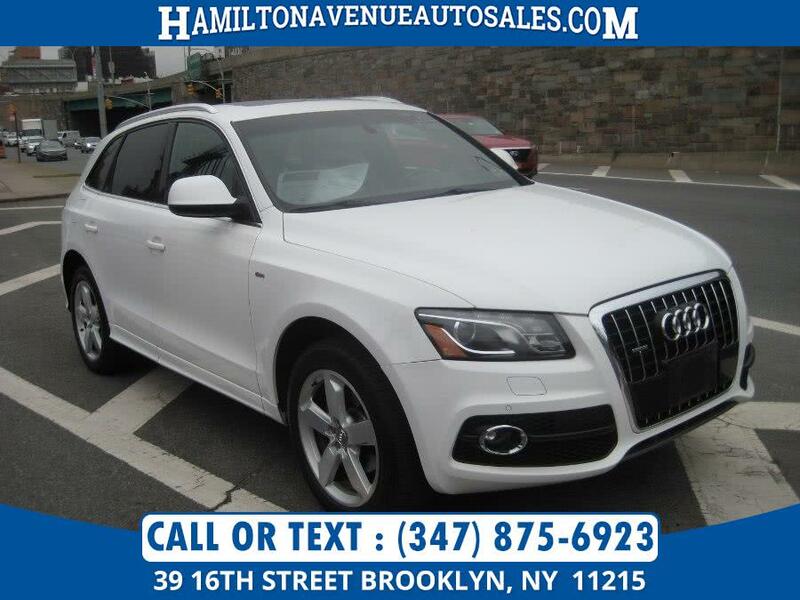 After you get a look at this beautiful 2016 Audi Q5, you'll wonder what took you so long to go check it out! 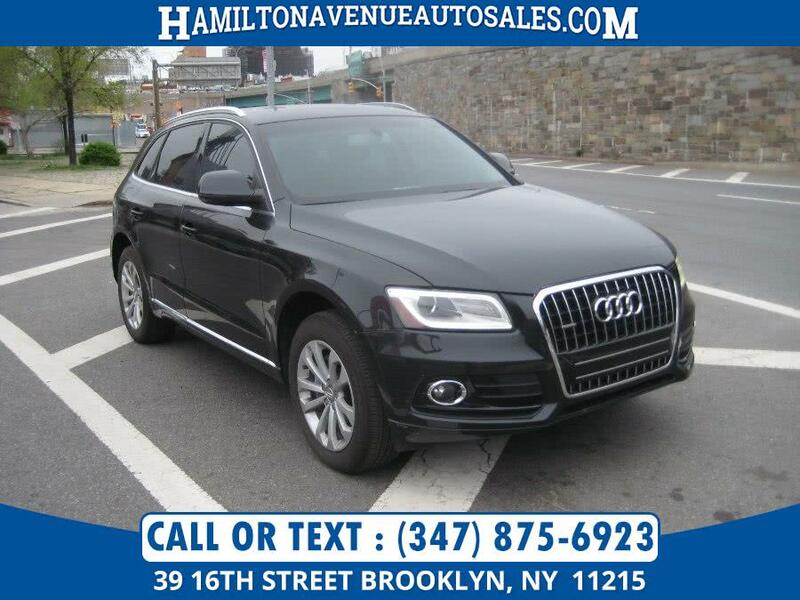 You won't be able to pass up on these extra features: dual-panel moonroof,heated seats,power seats,rear view camera,navigation,power windows,power locks,blue tooth,mp3 audio input,leather seats,all wheel drive,BLACK OPTIC PACKAGE -inc: Wheels: 8.5 x 20 Audi Sport 5 V-Spoke Design Titanium, 3-Spoke Flat-Bottom Sport Steering Wheel Multifunctional, black shift paddles and S line steering wheel emblem, Tires: P255/45R20 Summer Performance, Matte Black Roof Rails w/Cross Bars ,LUXURY PACKAGE -inc: 4-Way Power Lumbar Support For Front Seats, Leather Instrument Panel Top, door armrests and leather-colored stitching, 3-Step Ventilated Front Seats Sold Order Only. ,S LINE COMPETITION PLUS PACKAGE -inc: S- line competition plus bumpers, fender badging, single frame grille and intakes in high gloss black, Tires: P255/40R21 Summer Performance, High Gloss Black Exterior Mirror Housings, power-adjustable and folding, memory, auto-dimming and heated mirror w/LED turn indicator, Rear Roof Spoiler, Wheels: 8.5 x 21 Audi Sport 5-Double-Spoke Star design w/gloss black finish ,SPORT INTERIOR PACKAGE -inc: Audi drive select, 3-Spoke Multifunction Steering Wheel, black shift paddles, Sport-Contoured Front Seats 12-way power front seats including 4-way power lumbar adjustment, adjustable head restraints and adjustable thigh support, Black Cloth Headliner and TECHNOLOGY PACKAGE -inc: Bang & Olufsen Sound System, 14 speakers and 505 watts w/Dolby Digital 5.1 and noise compensation, Audi Parking System Plus w/Rear View Camera, front and rear acoustic sensors, Audi Side Assist Lane change assist, operates at speeds above 19 mph, visual warnings located in exterior mirror housings, Radar technology located behind rear bumper (not visible), Can be turned off, Audi Connect w/Online Services, Radio: MMI Navigation Plus System, TFT color, WVGA, 7 display screen (user-friendly control interface), control knob w/joystick and buttons in center console, Audi connect w/6-month trial subscription, Bluetooth streaming audio, HD Radio technology, in-dash single CD player plus DVD capability, SiriusXM Traffic w/4-year subscription and voice control system, Color Driver Information System w/Trip Computer . 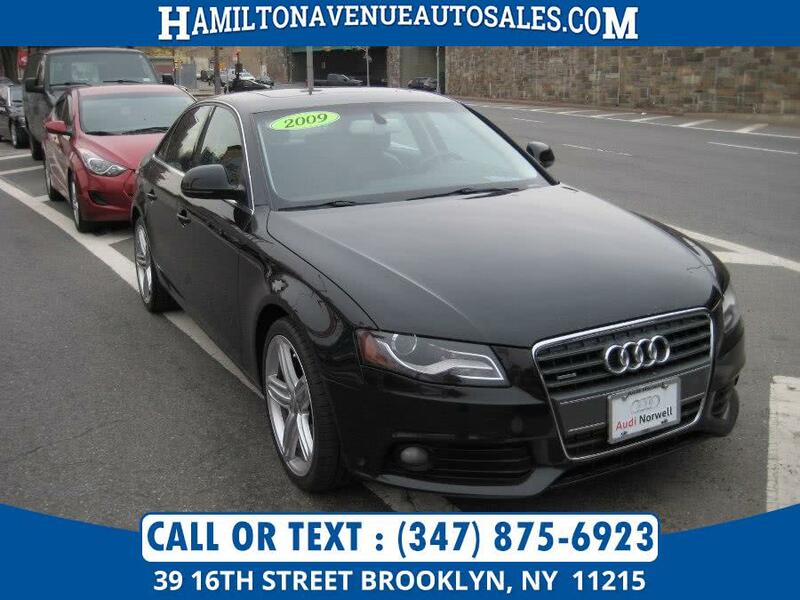 Yonkers Auto Mall is the premier destination for all pre-owned makes and models. We are a KBB Price Advisor and Instant Cash Offer certified dealer. 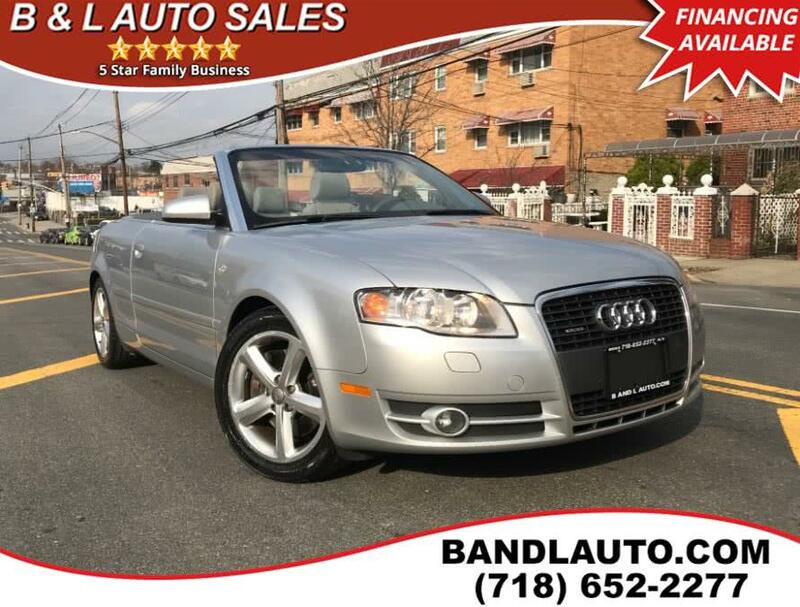 With the best prices & service on quality pre-owned cars and over 50 years of service to the community, Yonkers Auto Mall is the only place you need to find the car of your choice! 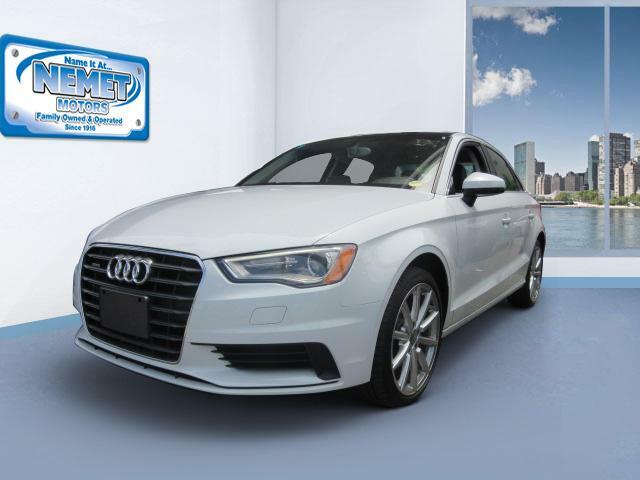 We have access to hundreds of cars at all times so you can have the best selection possible! We're located just 2 miles North of Yonkers Raceway and Empire City Casino. Just minutes from all major bridges and conveniently located just 5 minutes from the Bronx on the south end of Westchester County. Every car is thoroughly inspected before delivery and all our cars are CARFAX CERTIFIED.SE HABLA ESPANOL. 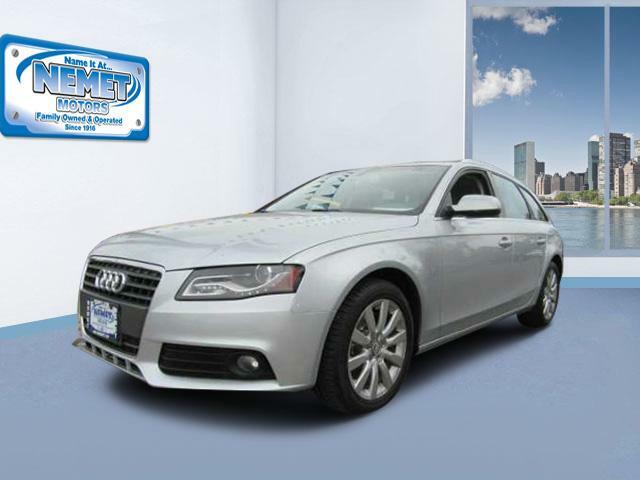 We have assembled the most advanced network of lenders to ensure you get the loan you need on the car you want. Good credit, decent credit or bad credit...we can secure the best loan for you! automallyonkers.com or 855-700-9198. 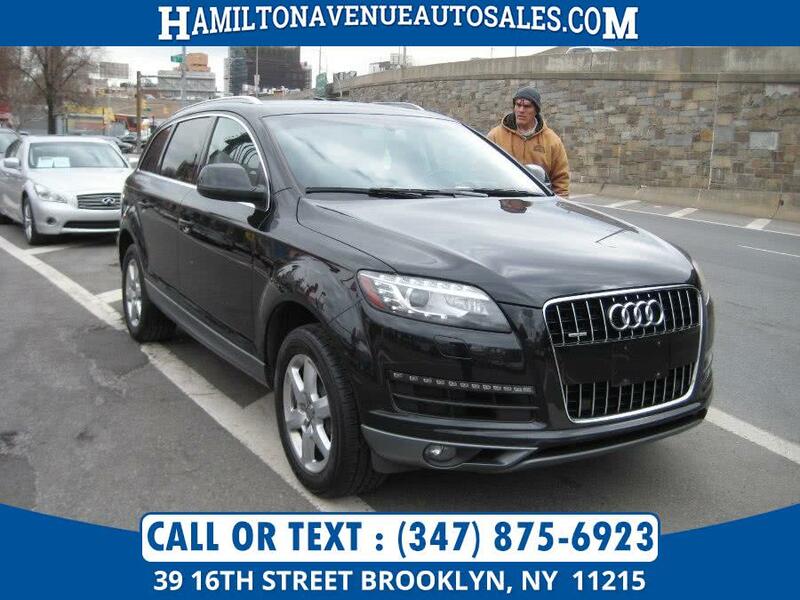 VIN:WA1D7AFP5GA040788, Stock No:040788YA, Call Yonkers Automall @ (888)478-6393 and say you saw it in Car Buyers Market.